The ugly dog called for a meeting. Not that the other dogs were very fond of him. But they agreed to meet in the park, after all human have gone to bed. They met there, all 17 of them. These are the dogs of that village, who eat whatever are leftovers and stay awake all night protecting the people of the area, even when people didn’t ever care about them. If they ever breached the trust, especially when hungry and trying to take a little more food from someone's house, they never said “oh you poor thing, you must be so hungry, eat as much as you can, for without you we couldn’t have slept peacefully at night.”. This sulk was evident. The ugly dog suffered the most. Once while being chased away, he ran in front of a passing cart and was severely wounded. Nobody really cared, except for a few other dogs. This ugly dog was a young and strong dog that time. He survived, but his wound, which later grew into ulcers, was never cured completely. With one eye almost gone, a great big raw patch of meat without the cover of the rotting skin, he was really ugly. This is why he doesn’t even take part in the night patrol either. People, all the dogs believed, are only crazy for the moon. However, what good has it done to them? Nothing, just nothing. It doesn’t even glow brightly enough to make the jobs easy for the dogs or for the widow of the tailor who needs to sew all night to raise two young children. It doesn’t glow brightly enough to put the scare of the dark away from the children. It doesn’t help grow the corps. It doesn’t let you stay warm during those freezing cold nights. What good is it then? Why do people keep on talking about the moon. Why they mention the moon when mentioning the night and not the dogs who really own the night ? The ugly dog, who had nothing to do, except to curse the people and the destiny which put him in this condition and wait for a miracle to get cured, fuelled these ideas. This is why the meeting is there. One must protest about this injustice. All the dogs listened to the ugly dog. Aye, aye, a few dogs agreed half-heartedly. Others remained silent,wondering what is it all about or how it can be successful. Hear hear, said a few dogs, more in number this time, and the voices finding strength as well. A loud and exuberant approval came from all the dogs. Then they followed the ugly dog to the big barren field outside the village. Determined to bring this to an end, for once and all. The moon, unaware of these happening, realised, it's his time to show up. The nightingale must be waiting to sing. The kids must be waiting to watch the old woman who stays on the moon. The loving couples must be waiting for him to make their heart feel the purest love for their partners. The night queen is waiting for him to blossom. The mothers must be waiting for him so they could sing and call him to their aid and help them put the baby to sleep. The poet is waiting to find new inspiration for his new poems which he must read in the court of the king tomorrow, he needs the moon. Removing the cover of the cloud, the moon, the bright moon of the 12th night, showed up smilingly. Everything happened as he expected, the nightingale welcomed him crooning her sweetest songs. The night queen blossomed, just beside the tiny dilapidated house of the poet. The poet looked at the moon and smiled and took out his paper and ink. The kids excitedly tried to guess what the old woman must be doing and the babies started falling asleep looking at the smiling and beautiful face of the moon. The dogs were ready, there there, screamed the ugly dog, with his broken voice. “Let's make this happen brothers”, he demanded. The dogs started to bark, loud and hoarse at the moon. The moon is too far up high to for their voices to reach him. The moon, neither expecting nor hearing anything didn’t pay any attention to them. Instead, he moved even high up the sky and started to smile even brighter. 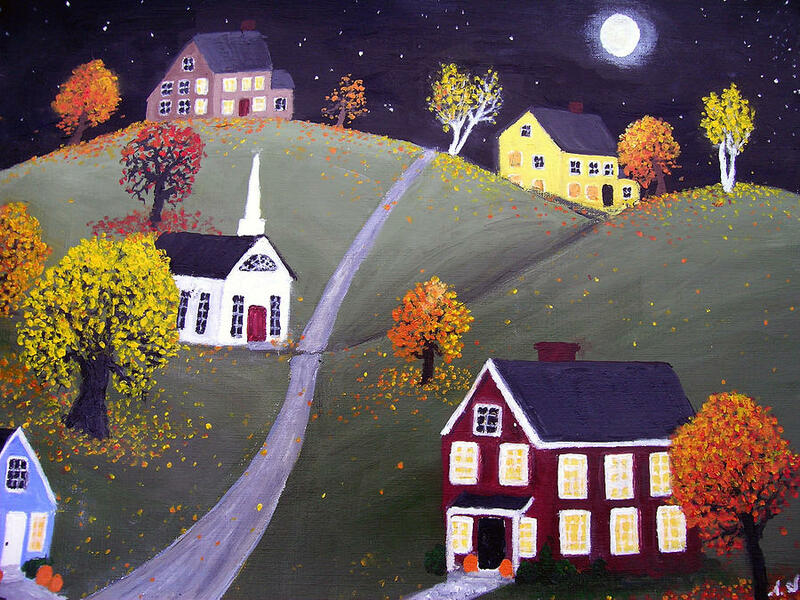 The world, the village, washed by the soft white moonlight, looked like a poet's dream of the early hours of the night, or like the the heaven. They started to bark with zeal and louder. So louder that even the villagers could hear it. Something must have gone wrong. They decided to check out. They followed the sound and reached the barren field and realised that the dogs were shouting at nothing. Irritated, they chased the dogs away but didn’t say anything. They went home. Some of them went to sleep. Others sat near their wives and said, isn’t the moon so beautiful my love? The dogs ran for their lives and escaped the villagers. “But we must not give up” said the ugly dog and others agreed. The next night was 13th nights. The anticipation was there, moon came, the usual appreciation followed. The dogs, ready this time, with more members, barked as hard as they could to the moon. “Oh, only if you were really beautiful. Only if you didn’t have those ugly marks right on your face. You can't even talk, you are dumb” they screamed. Nobody was there to tell the moon what’s happening and he continued to smile all night. The villagers, followed the noise this time again and was again disappointed. They chased the dogs away harder and further this time. They must have gone crazy, the villagers thought. It was the next night, the night of the 15th. The ugly dog has preached his doctrine to other groups and found members. 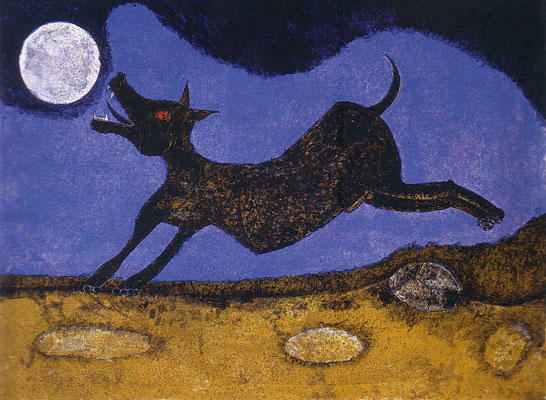 That night saw the biggest assembly of dogs and they started to scream at the biggest, brightest full moon of the 15th. The moon was unaware and busy in noticing the nightingale pleading her love to him, the poet finding new rhymes and words to read for his lover, the lover couple embracing and kissing right under his light. “Tonight is our make or break night my brothers,” the ugly dog injected enthusiasm, “lets make this happen.” The dogs, irritated at how the villagers didn’t care about their side of the story, started barking. They barked the loudest and with zest. The large group which assembled at the ground made so much noise that the faint sound reached even the moon. The moon was puzzled, have I done something wrong, why so many dogs are barking at me? The noise was not so faint in the village. “We must teach these dogs a lesson else we will never sleep peacefully at night: the villagers said to each other. They went to the field, armed with sticks and started chasing the dogs who started to run. But the ugly dog, physically incapable and weak from so much barking, couldn’t run fast enough. One strong blow hit him and his painful existence on this world ended. The moon noticed the agitation has ended and started to smile brightly once more. There was one, in fact, two, who noticed the whole episode over three nights, the mother owl and her young son. They also stay awake the whole night as their nature. Every night the mother owl brought the young baby to the barren field to teach him how to find food. The death of the ugly dog shocked the young owl. Looking at him, the mother owl smiled. They both looked up at the moon which was glowing brightly and watched its beauty for a minute before they flew away together.